Schultz Custom Homes and Remodeling is situated in Cabarrus County and we help property owners in Concord, Harrisburg, Mt. Pleasant & other locations in & around Charlotte, North Carolina. We design and build custom made homes. We also design & build home additions, remodel kitchens, remodel bathrooms and offer related residential renovation services - affordably, yet with with superb quality. We're specialists in building new contemporary homes and transforming older traditional homes into ultra modern homes. At Burke Developer, we pride ourselves on our ability to construct your ideal home, creating a beautiful and livable reality from your vision, dreams and plans. You can rely on our experience to guide you through the building process; each of our custom home projects begins with careful designs to ensure quality in every detail. We work closely with designers, tradespeople, craftsmen, and you to ensure that your new home perfectly reflects your vision. Visit our Custom Homes Gallery or our Multi Family icons for inspirational images of Burke Developers’ recent custom home projects, or register to receive additional information. At Gerrard Builders, we begin with a vision. Our goal is to take our customer's ideas and shape them into reality. Gerrard Builders is able to achieve the desired results by partnering with the customer during the entire planning and building process. 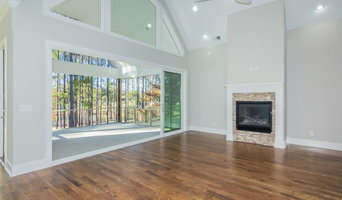 Gerrard Builders is headquartered in Charlotte, NC and is owned by Bryan Gerrard, a licensed general contractor with extensive experience in both new home construction and renovations. Bryan is heavily involved in the day-to-day design, construction, and service of each home. Gerrard Builders ensures that each customer receives personal attention from Bryan and Project Managers assigned to each home. The Encore team brings together a unique and diverse collection of people with special talents and depth of experience derived from decades of work in the homebuilding industry. We all enjoy working together and we are united around the same goal: To produce beautiful homes and satisfied clients who will want to refer us as professional builders. A Charlotte Home Building Legacy Since 1979. We build homes that reflect our client’s personality, tastes, and lifestyle. The design of the living space enhances the owner’s daily activity and the special occasions with family and friends. Our luxury homes have never been more functional, ensuring optimal use of space along with the latest features to enrich a modern lifestyle. Each of our homes incorporates a unique outdoor design making it a natural extension of your home. Ultimately, it is the attention to details that make each of our homes distinctive and personal. The Ullman Group has assembled a dedicated team of professionals which include some of the most creative, talented, and hard working individuals in the business. We apply the same standards to our sub-contractors and suppliers ensuring that your home is constructed with the utmost skill and finest materials. We understand and respect both the financial and personal investment you are making and we are dedicated to turn your dream into a reality. The Ullman team is committed to make each homebuilding project a unique and timeless work of art and the homebuilding experience exciting and fun. Home building is our love and our passion. We share your excitement and work to make the process as satisfying as the end product. And, to insure you receive unparalleled attention, The Ullman Group limits the number of homes built each year. Our goal is simple, to create the perfect living space for our clients. The result is the home of your dreams, a distinctive work of style and craftsmanship. We would love to hear from you and to share what a truly personal home building experience can be. 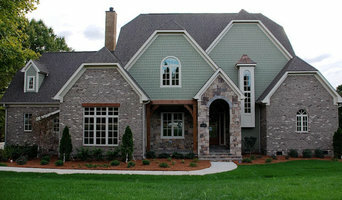 SW Associates Inc. is a Custom Home Builder in Hickory area. 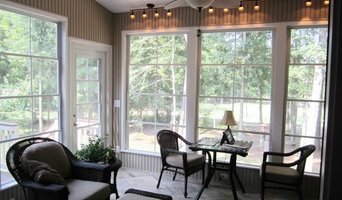 We have been building Custom Homes as SW Associates since 1992 and are licensed and insured. Specializing in Custom Homes, Remodeling, Renovations, Additions and Green Building. SWA owners and employees have over four decades of expertise in the building industry. We are continually updating our education and knowledge of the changes and new trends in the Building industry. We build in the unifour area, covering Catawba, Burke, Caldwell, Alexander, McDowell, Iredell, Lincoln, and Watauga counties. At SWA we are dedicated to providing unsurpassed quality year after year thru excellence in design and craftsmanship. Our uncompromising dedication and honesty is embodied in every home we construct. Look closely. Our goal is about creating a place for you to call home, here in Charlotte, NC area. It is about building new homes that actually feel right, fitting the way you live today, and filled with exciting and stylish details. We do this for you by listening with passion, leading with integrity and executing with excellence with every new home we build.